Argyle Fox is frustrated when his plans to play outside are ruined because of the wind. When his mother encourages him to think of something else to do, Argyle finds a solution. This book highlights problem solving and perseverance. It also shows how to turn around a situation that is not ideal. The illustrations are detailed and colorful. The animal characters will appeal to my young readers and I think they will relate to and learn from the message. A little girl is reading in her room when a bee flies in through an open window. The girl befriends the bee and feeds it. Soon the bee multiplies in size and the girl takes a journey atop the bee's back as it flies over the city spreading pollen. This fanciful story is told without words, but the last page of the book provides some brief information about the importance of bees and how to help them. This book has beautiful and interesting illustrations. I think many young readers will appreciate this book, but I think it will especially engage the imaginations of my first graders. 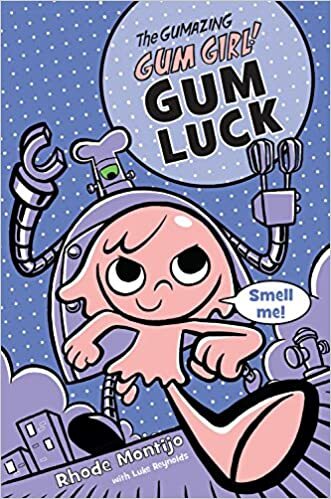 Gum Girl is back in her second book. When Gabby chews gum she becomes a superhero whose abilities to stretch and stick allow her to save the day. Gabby has promised her parents that she won't chew gum, but situations that require her help keep occurring and there is a villain out to get her. Gum Girl's adventures are a little silly, but amusing and I think this book will appeal to my young readers. The book has many illustrations and short chapters and will be one I recommend to my second and third grade readers who are transitioning to chapter books. 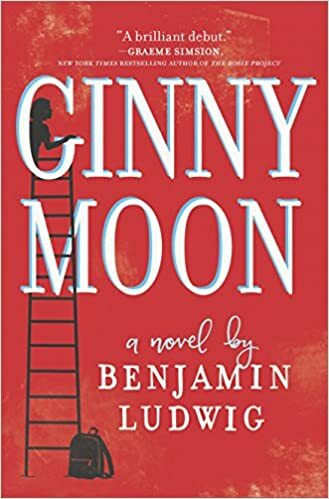 I don't often share the novels I read that are non-children's literature in my Monday reading list, but I make exceptions when I am particularly fond of the book. This is one of those novels that I greatly enjoyed and would recommend to others. Ginny is a teenager with autism. She is also in foster care, but desperately wants to return to her birth mother so she can be reunited with her Baby Doll. As more of Ginny's life before she was placed with her foster parents is revealed, it becomes clear why Ginny would plot to return to an unsafe situation. Ginny is a unique and interesting character. She makes one wrong decision after another, but you'll want to root for her anyway. The book gives insight into a character who sees the world a little different. This is a story of a girl finding her voice and her place in the world. It also shows that even an unconventional and imperfect family can become one's Forever Home. I still have 6th graders who love Babymouse, so I really should buy Gum Girl. Much more appropriate for 2nd and 3rd grade, though! 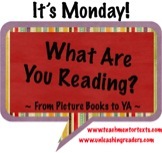 I have older readers (5th graders) who love Babymouse as well! Oh, I'm always looking for new wordless picturebooks to use as writing prompts with my students, especially ones with more detailed, less babyish illustrations. Bee & Me looks perfect! I love wordless books. They are great for all ages. Bee and Me looks like an interesting read. I appreciate that it includes information about bees at the end. Understanding our connections to them is so critical these days and it's never too early to begin. Your adult novel looks like a fascinating read. thanks for the heads up about it, I just put a hold on it. You are right about the importance of understanding how necessary bees are to our world. This book will help introduce students to that fact. 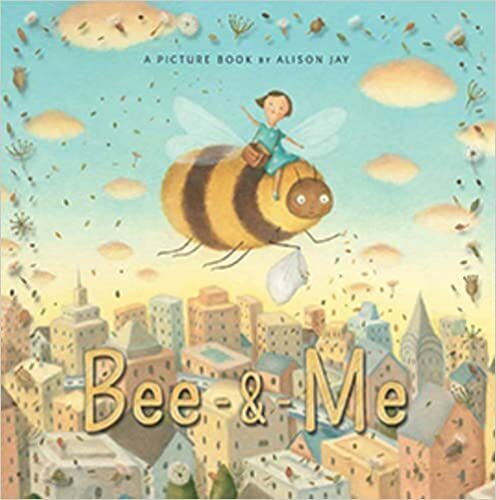 Bee & Me sounds like a very imaginative book, and one that can get children interested in bees, a good thing as Cheriee says. I like the idea of Ginny Moon, and will bookmark it, Lisa. Thanks. Children are fascinated when they learn about bees and their importance. 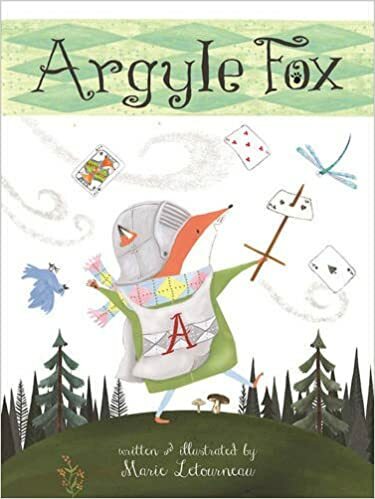 I just ordered Argyle Fox and Bee & Me from my library. I'm really looking forward to reading both of these picture books. Have a great week! I just love the illustrations in Bee and Me!